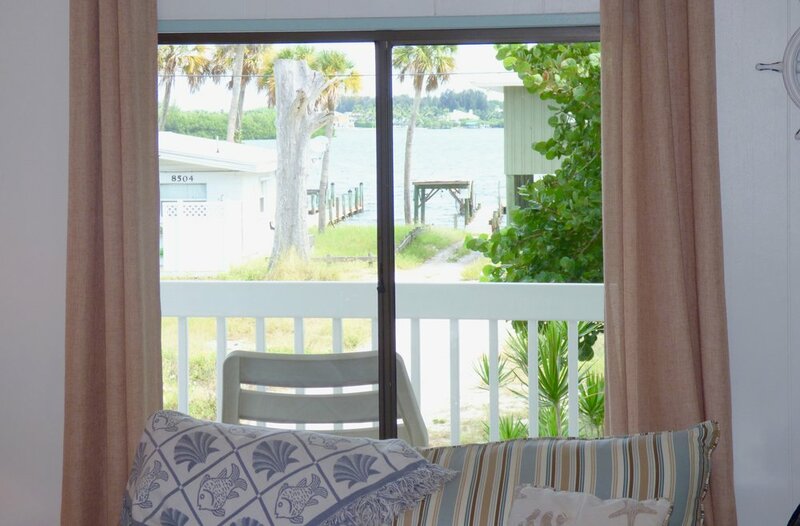 Island Sunrise is just steps from the dock, for easy access to the water taxi or your rental boat. The front porch has comfortable chaise lounges for viewing the sunset and a table for outdoor dining. Inside, a spacious open plan kitchen and living area has plenty of room for everyone to spread out. There is a large bathroom with tub/shower and a smaller en-suite bath off the master bedroom. The kitchen is well equipped with all utensils, pots and pans and pantry items. 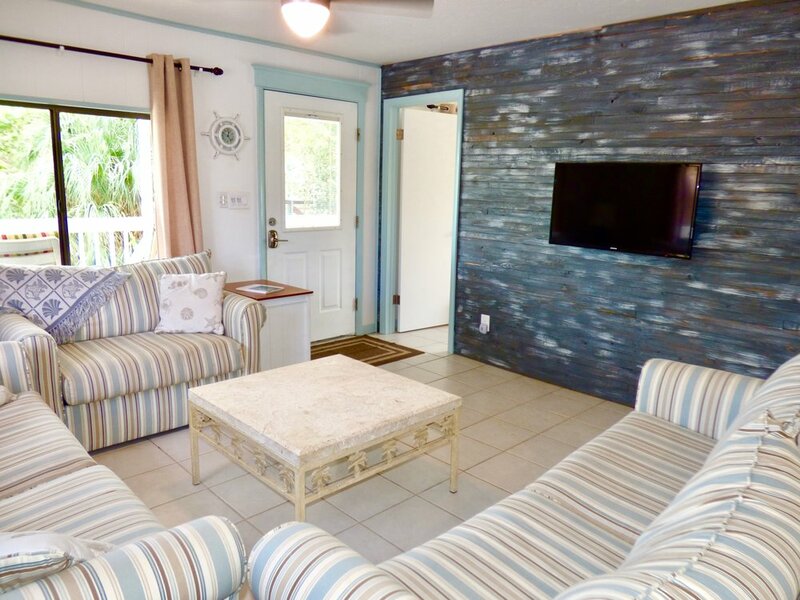 Downstairs, you will find a comfortable open air deck with an additional dining table, comfortable seating and a comfortable hammock for enjoying the bay breezes. There is also a fire pit for evening bonfires, s'mores and hot dog roasting. The owners will provide a $100 golf cart voucher which will allow you to rent a golf cart from LGI carts during your stay. They will also include a free kayak or paddle board rental during your stay. Please note that vouchers are only provided for WEEKLY rentals. To use the voucher, you are responsible for making your own reservations with LGI carts and with the kayak rental provider. Please reserve carts in advance, especially during the holiday timeframes. 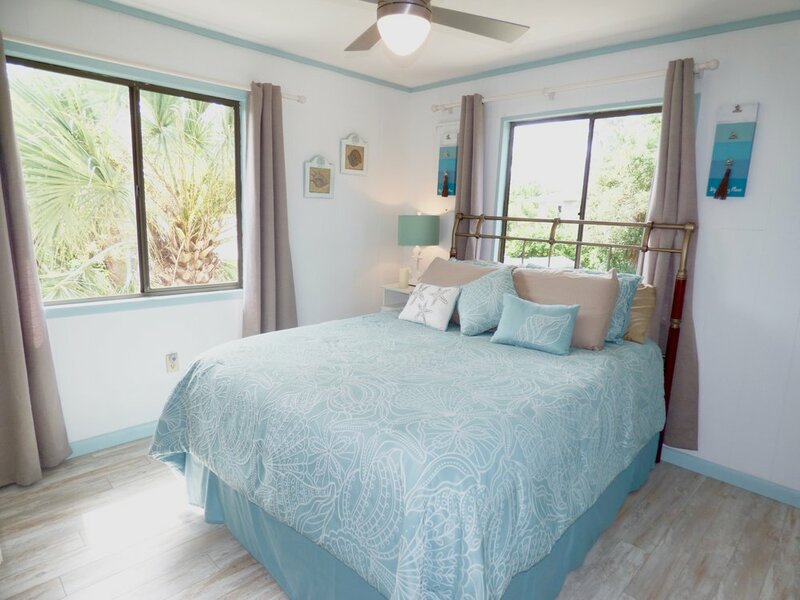 Please note that this home will accommodate 7; however, rates are based on 6 people and there is an additional charge for each guest in excess of 6. Additional Guests - Rental rates are based on an occupancy of 6. There will be a $15 additional guest fee (per night) for each guest over 6.